The Mountaineering Association of Chania organizes one-day easy IP-zoporiki activity for young and older children (girls and bo-Chia) aged 7-16 years, to cross the beautiful gorge of Deliana, in Kissamos province, Sunday 16 October 2016. 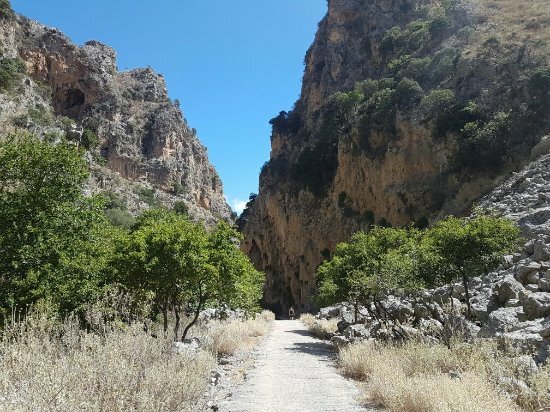 The hike will be slowly to easy passable path in the small shaded canyon to get to know our little friends, another beautiful location of our county. Children will have the opportunity to play and admire nature in this green corner of the Kissamos province. Departure from the offices of the Association on Sunday morning, oh ether 8:30, and return early in the afternoon of the same day. More information and enrollment in the Association offices, Tzanakaki 90 every night from 21:00 to 23:00, tel. 28 210 44 647, or on our website www.eoshanion.gr., Until Friday night 14/09. Head of the trip is Mr. Stavros Badogiannis and escorts will be members of the Board ..